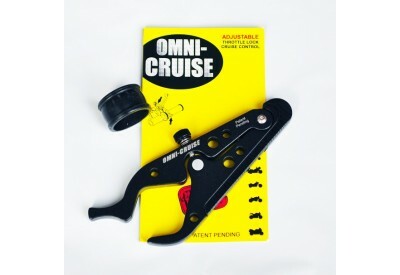 The Omni-Cruise is a simple and effective way to override the return spring of a motorcycle's throttle. With it's low investment price point, combined with features and benefits which put it way ahead of any other similar device, you will be amazed by its fuctionality, ease of use and fitment. 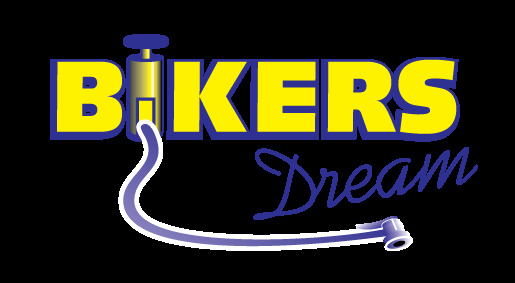 Temporarily locking or overriding the throttle return spring on a motorcycle can greatly benefit a rider who is heading off on a long trip. 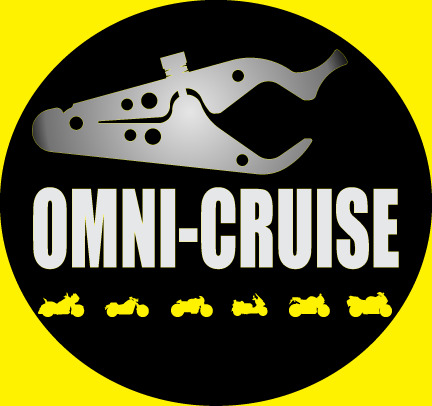 The Omni-Cruise is designed to fit any motorbike or scooter, but there will be exceptions with ANY universal product. The Omni-Cruise requires 8.35 cm (3 1/4") of clearance fromt he grip to any object that may interfere with its operation including hand guards and low mirrors in front of the grip. Some year models of the Suzuki DL 650 and 1000 V-Strom have proven to have clearance issues with OEM hand guards installed. 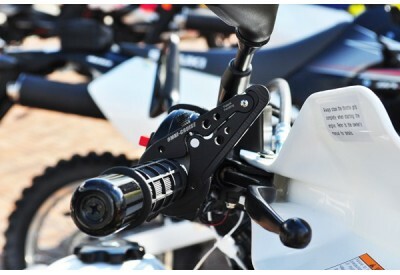 A kit has been developed, which relocates the hand guards. Larger diameter chrome grips require the thicker band. Please make a note in the comment section of your order, if you require the larger band. It will be included with your Omni-Cruise at no additional charge.